Different types of materials for decking are available in today’s market. Though there are many other options there are 5 primary types of decking materials available to a homeowner, every option has its own advantages and features which include maintenance, price, and aesthetics. People are no longer limited to wood decks, with today’s technology the decking materials available are nearly endless in their possibilities. With so many options available making the decision of which decking material is right for you becomes increasingly more challenging. At Mountain View Sun Decks we offer a wide range of decking solutions with varieties, paints in different colors, styles, materials, and sizes. Back in the days, the only available source of material used to be wood, that was limited to only a few select types of wood. Be that as it may, the introduction of plastic at aluminum decking increased the customization a deck can have. Having an understanding of the material you want to use helps us design and build the perfect decking system for you and your home. 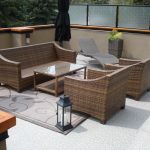 There are 5 common types of decks a homeowner will see in Calgary; pressure treated wood decks, cedar wood decks, hardwood decks, aluminum decks and composite/vinyl decks. We can boastfully tell you that despite the increased competition of decking materials, this green-colored wood has stood the test of time and maintained its No. 1 position among the popularity of decking material being used today. ‘Arch Treatment Tech’ which is renowned as a reputable wood preservatives producer attested to the fact that around 75% of decking systems in North America are still pressure treated wood decks. One reason for the popularity of pressure treated decks is due to the fact that it is so readily available, and it is cost-effective which means it can be acquired at a cheaper price the other decking solutions. Pressure treated lumber can be cut easily and secured with nails and screws. The majority of the PT decking that has been manufactured is obtained from the southern region yellow pine, then it is treated to prevent it from rotting, attacks from wood-eating bugs and fungus. Pressure treated wood decks come with boards that are commonly in two sizes 2 x 6 and 5/4 x 6. Sometimes the 2 x 4 is used on railings or small decks. One setback or disadvantage with a pressure treated deck is the instability and imminent deterioration which leads to cracking, splitting and warping of the lumber. In order to increase the longevity of a pressure treated deck system proper and regular deck maintenance is needed. Deck maintenance includes the application of preservative every few years as well as a yearly power washing and cleaning. Incidentally, for over sixty years the PT lumber used to be infused with (CCA), which is a suspected carcinogen. However, since Dec 2003, Chromate Copper Arsenate has ceased to be used for residential decking materials. The red cedar or redwood is a popular choice for decking. These woods contain oils and tannins and this makes them resistant to the insect and string against natural decay. This material for decking is popular because of its colour and no preservatives. There are different grades of cedar or redwood for decking use. Generally, cedar costs 3 times more than a pressure treated wood deck, but to many, the look and feel of a custom cedar deck are worth the added expense. To maintain and keep the Cedar and Redwood deck in good shape, it is required that you power wash the materials annually as well as polish every 3 to 4 years. Regular maintenance and upkeep ensure your cedar deck lasts and the wood doesn’t splinter. The best way to protect the natural color of a cedar deck is using a deck or wood stain. Applying a wood stain to the deck, leaves the deck glowing and helps to keep the deck’s longevity. Composite decks are one of the fastest growing deck material, their peak in popularity is largely due to their durability and cost. According to decks.com, there are dozens of companies that produce composite decking materials and countless contractors that install the PVC based decking system. These decking materials generate from PVC or Polythene, which are available in different colors. A few of the composites such as Veranda, CorrectDeck, TimberTech, Trex, are mainly produced from recycled plastic and wood fibers. The outcome is an amazing material that is not susceptible to stains, rot, warp or split. ForeverDeck, Azek Deck, Leisure Decking, are decking produced from recycled plastic and have no wood or wooden fibers. It’s exceedingly impervious to decay and staining, cracks or split. Plastic lumber and composites have sizes that are different than standard wood decks. These sizes include 2 x 4inches and 2 x 6inches and 5/4 x 6inches due to varieties in the product produced by different companies, the market price for these materials vary. However, purchasing composite tends to be more affordable than the plastic lumber. Installing plastic lumber or composite decking certainly has an edge over wood. They do not need the usual maintenance or staining, but that doesn’t mean they are maintenance free. The damp area on the deck can harbor the growth of mold and can lead to decaying of the deck if it is made of composite and partial wood. 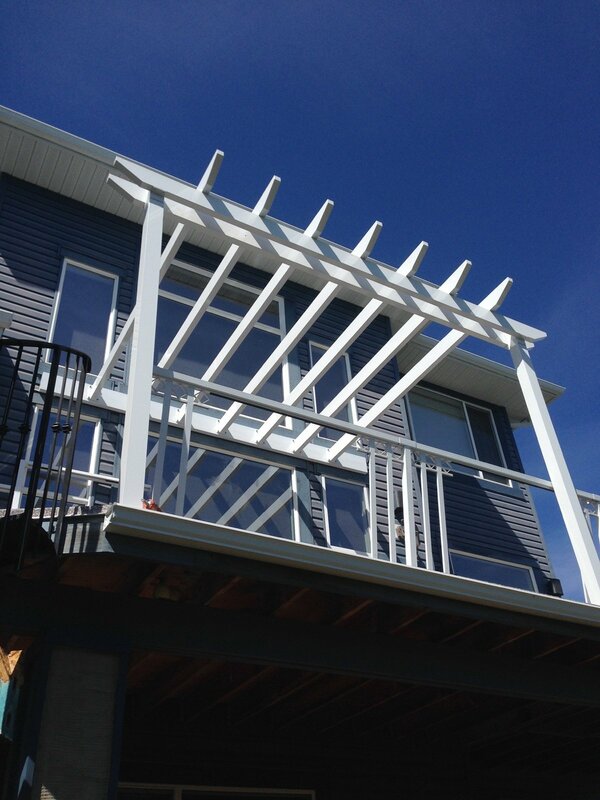 Aluminum decks are rare, but they have a number of advantages and can be the perfect decking solution for your home. Aluminum decking does not rot, warp, or crack. Aluminum decks are essentially maintenance free because they do not harbor mold or pests such as termites. 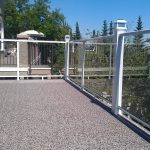 Other advantages of aluminum decks include its fire resistant nature and nearly impervious to harsh weather conditions. Aluminum is the lightest amongst all the decking material as well as the strongest and is often made from recycled materials. Aluminum decks are designed in a way that they are water tight and do not permit the penetration of water. The most amazing feature of aluminum decks is that the decking system stays cool even during a sunny day because of its superior heat-dissipation properties. Aluminum decks are often more costly than composite or pressure treated decks but to many homeowners, the advantages are worth the cost.